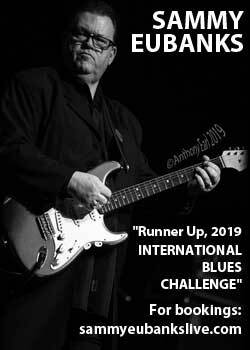 (FORT LAUDERDALE, FL) – The Eastern Caribbean Legendary Rhythm & Blues Cruise #32 will set sail from Fort Lauderdale Feb 3rd to St. Thomas, St, Maarten and Bahamas Private Island. 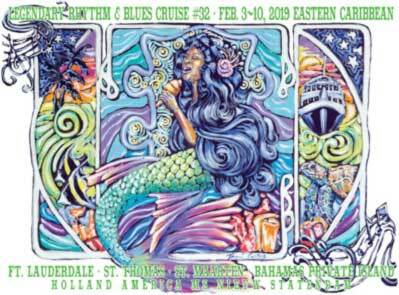 Onboard with thousands of blues cruisers will be 100+ shows with dozens of artists playing multiple times over the course of the week. 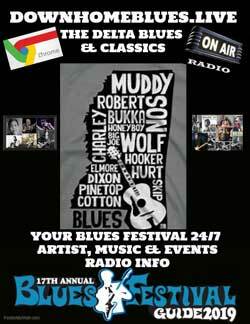 The stellar lineup includes Taj Mahal, Kenny Wayne Shephard, Bobby Rush, Irma Thomas, Tab Benoit, Popa Chubby, Janiva Magness, Victor Wainwright, Tommy Castro, Benny Turner, Phantom Blues Band, Lil Ed & The Blues Imperials, Mike Welch & Curtis Salgado, The Lowrider Band, Keesha Pratt Band, Indigenous, Vanessa Collier, Danielle Nicole & Latimore, Billy C. Wirtz and many more outstanding artists. 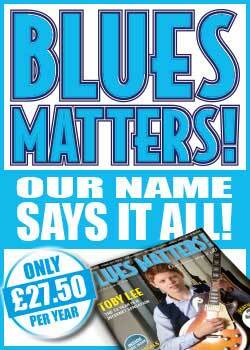 Many cool blues Revues are also scheduled. There are themes throughout the week too, including Wig Night, LRBC Gear Night, Time Machine Night, Pirate Night, Mardi Gras and Pajamarama. 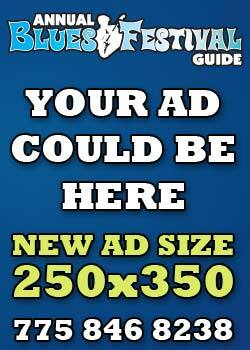 The party is hosted Feb 2nd at the Fort Lauderdale Hilton Marina (1881 SE 17th St.) Fort Lauderdale, Florida, by the South Florida Blues Society. 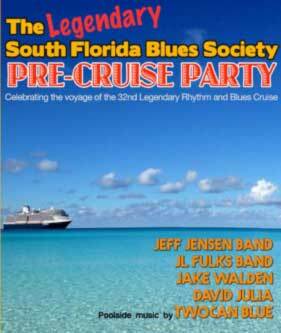 Performing are Jeff Jensen Band, JL Fulks & Friends plus Jake Walden and David Julia. 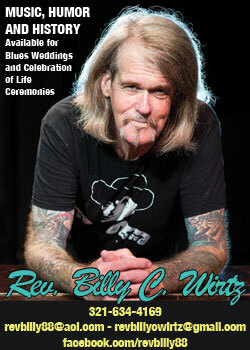 Ballroom doors at 7pm and admission is $10. 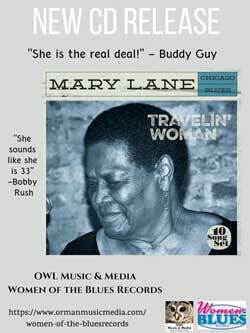 TwoCan Blue will perform 5pm by the pool. 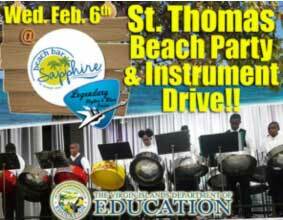 On Wednesday, Feb 6, a Beach Party & Instrument Drive will be held at the Sapphire Beach Bar on St. Thomas sponsored by LRBC and the Virgin Islands Department of Education. Musical instruments are needed for St. Thomas Berth C. Boshulte Middle School students who lost much or all of their Music Program instruments in last year’s hurricanes. 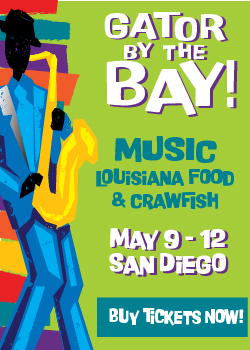 Featured performers from 12:15pm-5pm will include the BCB Middle School Steel Drum Band, Maubi Ensemble, Lil’ Ed & The Blues Imperials, and Dwayne Dopsie & The Zydeco Hellraisers. 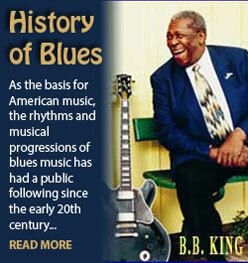 The club is just a 30-minute taxi ride from the pier and free admission for Blues Cruisers. Please bring playable instruments to donate to the students. There will be an instrument drop at St. Thomas Pier. Cash donations are also welcome on the ship for local steel drum, concert, and jazz bands in need of instrument repair or purchase.